In the last few years, mattress pads and mattress toppers have exploded in popularity as an affordable way to adjust old beds and make them viable a little while longer. In fact, I'm part of this group - several months before I wrote this guide, I bought a memory foam topper for my bed, and it's served me quite well. With that thought in mind, I'd like to take my experience with mattress toppers and help you. Here are the best mattress pad and mattress topper options currently available. But first, let's review how we decided on these products. I believe all buyer's guides should prioritize honesty and integrity, and that means explaining the criteria used to select these products over their many competitors. We started our process by looking for the most-reviewed products. People have different sleeping needs, so even if a topper works well for me, it might not be the right choice for you. Looking at the wisdom of the masses helped us get a better sense for which products the majority of people found useful - a test we couldn't have done ourselves. Next, we sorted these products by their materials and features. We knew we wanted to write about the best mattress pads, but how do you actually define what "best" means? 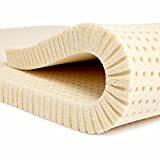 Ultimately, we decided that the best mattress toppers would have a good blend of durability, natural materials, comfort, and features like being hypoallergenic or resistant to mites and other crawling pests. As part of this, we looked for a variety of topper types. We could have just picked five memory foam toppers or something, but that's not as useful as listing genuinely different types of toppers. Finally, we looked at whether or not the price seemed appropriate when compared to the size, materials, and features of the product. Anything that seemed significantly over-priced or under-priced was removed from the list. For most of our final choices, the price was not otherwise a factor in our decision. This is a guide to the best mattress toppers, not the most expensive or most affordable choices, so the price was largely irrelevant to us. However, we know that some people can only afford a cheap mattress topper, so we decided to include a budget option at the end of the list. Now that you know how we picked these, let's get right into the list. For pure comfort while you're sleeping, it's hard to beat this plush mattress topper from Parachute. The outside is made from Sateen cotton, which offers multiple benefits to sleepers. As explained by Overstock.com, these include resistance to mildew, help for people with allergies, and an excellent ability to breathe and provide comfort in any season. The interior of this topper consists of a hypoallergenic microfiber sewn into baffle boxes that prevent significant shifting of the contents. The manufacturer uses regenerated polyester (a recycled product) when possible to improve the overall sustainability of these products, and we felt that was a nice touch. Unfortunately, this is also one of the more expensive toppers currently available. It's one of the best mattress pad options, but if you're looking for something a little more affordable, keep going down the list. Also, it's not available in Twin size. This product sometimes goes out of stock, but the manufacturer typically gets more within a few days. If you've never slept on latex before, now is a good time to consider it. Latex - particularly 100% natural latex, like this product uses - offers significant advantages over products like memory foam. For many people, the most important feature of this topper is its heat-neutral abilities. This means it doesn't change in normal sleeping temperatures - it won't get brittle in the winter or sticky and melted in the summer. Since the air tunnels don't compact, they're going to keep working no matter what else is going on. Natural latex is also among the most durable bedding materials currently available. Nothing is perfect, but there's a good chance this topper will significantly outlast the usable life of your bed - and that's assuming you're extending its lifespan with this product as a topper. Sleep on Latex's topper isn't as plush as our #1 pick, but it's a firm, supportive choice and deserves serious consideration. We usually recommend getting at least the 2" topper, which offers a significant change to the feel of your mattress. If you want to dominate the feel of an old mattress or add extra firmness, go for the 3" version instead. The thick versions are noticeably more expensive, but given the extreme durability of this product, the higher price is appropriate. Certi-pur us certified and meets the highest standards for quality. 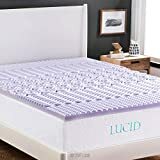 This is the best topper to get if you're looking for memory foam, which contours to your body and offers better support throughout the night. At 2 inches thick, this is most suitable for people who sleep on their back and are about average weight. Side sleepers and heavier people should get at least three inches of foam instead, which isn't available with this product. The visco-elastic memory foam is a solid base for this topper, offering more support than polyurethane. However, memory foam doesn't disperse heat as well as polyurethane, meaning this topper will run a bit hotter than some of your other choices. DreamFoam's answer to this is the inclusion of gel, a relatively recent development that significantly improves the cooling of memory foam. 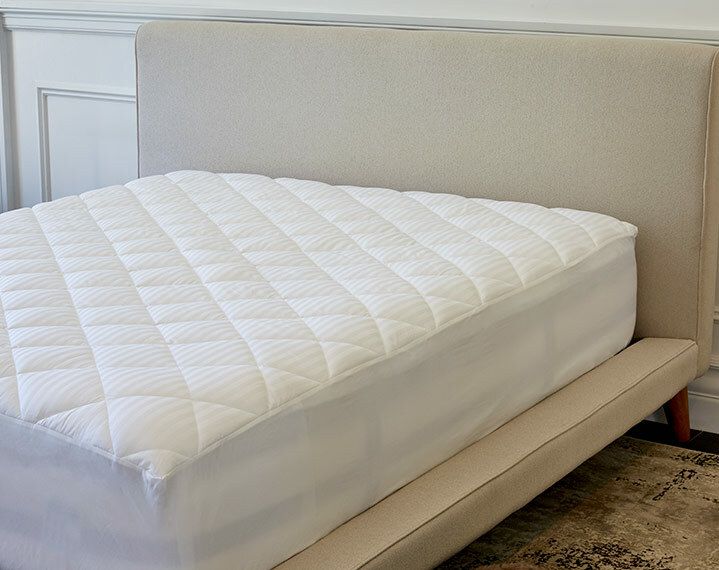 DreamFoam's topper uses a ripple design that incorporates lines of gel down the entire mattress. This ensures the heat always has somewhere to travel that's less-resistant than the non-gel foam, enhancing the overall cooling ability of this mattress pad without reducing its comfort. Have you ever wanted your bed to smell a little better? If so, LUCID has the product for you - a 2-inch thick memory foam pad infused with lavender. The nice color of this topper is just a bonus because this product offers a long-lasting floral scent known for its ability to help people relax. It's also one of the only scented mattress pads on the market. Unlike most toppers, this product features five different 'zones,' or areas where the pad offers different patterns. This helps it optimize comfort at night by directing pressure in ways that minimize its impact on the body. Such patterns are fairly rare on memory foam pads, making this another outlier. There is one important note: The smell of lavender from this product is especially strong right after you open it. Some pets - including cats - dislike the smell and will avoid both the bed and, probably, your room. Dogs respond much better to lavender, and this memory foam pad can help calm them down (especially if they like sleeping with you). This pad is both affordable and available in all standard sizes, making it a solid choice if you don't have the money for one of the best mattress pad choices earlier on this list. It was probably inevitable that companies would look at layering foam and other products to provide an even better sleeping experience. This four-inch thick product will significantly increase the height of your bed, but it also includes two distinct two-inch layers of comfort. For added help, the foam is held in a machine-washable cover that keeps everything where it should be. 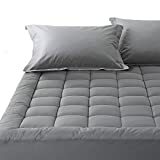 The top layer of this product is for comfort - it offers a comfortable fiber filling that softens your bed and helps you stay cool throughout the night. The bottom layer is two inches of gel-infused memory foam, which contours to your body to provide support and minimize pressure points. Thanks to the thick upper layer, you're not likely to feel your mattress beneath this pad. The most important thing to note about this product is that it does soften things up a little. The memory foam offers a firmer base, but the fluffy top section means it's still significantly softer than sleeping right on top of foam would be. Some people need a firmer mattress at night, and if you fall into that category, you should look for a different mattress pad. Yes, this is a little more expensive than our #4 pick, which was already quite affordable. That said, this isn't a memory foam topper, and its price is still about as low as the best mattress pad choices can get. 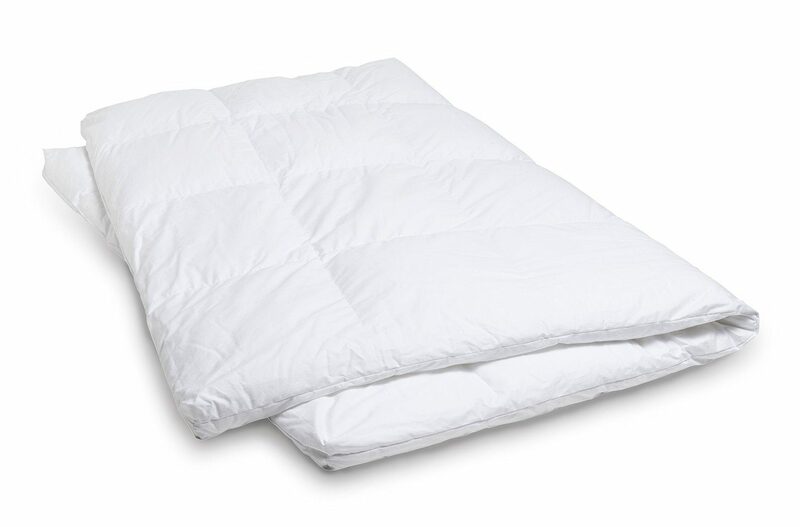 Balichun's topper has a 300 thread count cotton top filled with storm goose down alternative, an affordable and comfortable choice for this type of product. Among its other benefits, the synthetic materials used are hypoallergenic and antimicrobial, reducing the chance you'll get sick from lying in bed. Many people use this product specifically to extend the usable lifespan of their beds. It's not nearly as comfortable as our #1 choice, but it's significantly more affordable - and therefore a better choice for many people. As always, we recommend buying something from the main list if you can afford it. Many sellers offer multi-month payment plans that can help you fit the purchase into your household budget, and those are worth using. The reason for our recommendation is simple: you spend about a third of your life sleeping, and when you're in one place for that long, it's worth investing in the best products you can get. To put this in context, you sleep for about 2,920 hours each year. If you use our #2 choice (the latex mattress topper) for ten years, that's about thirty thousand hours it will spend affecting your comfort. Even the most expensive version of that product is less than $300, and at that price, it would still be just $1 for about a hundred hours of comfort while sleeping. Most people get an even better deal. Which product we recommend depends on what you're looking for. The best choices are the #1 and #2 products on the list, which are respectively ideal for people who want a soft or firm mattress beneath them. All else being equal, we like the #2 product more thanks to its extreme durability. The other products on this list should be treated as alternatives to the main choices. Overall, we think natural latex is better than memory foam if you need support, while Sleep Innovations' #5 entry offers the benefits of plush and foam in a surprisingly harmonious way. In the end, you're the only one who can tell what's most important for your needs. Also, don't feel like you have to get a topper that matches the size of your bed. Many couples get two different toppers - with one for each side of the bed, they can be sure each of them is getting the optimal level of comfort. If you're not sure what type of topper to buy, go to a mattress store and test several types of beds. This can help you determine whether soft or firm is the correct choice for your needs.